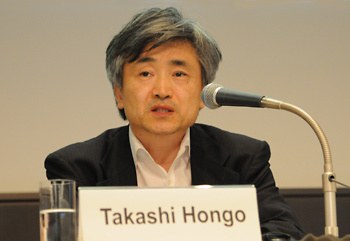 Hongo covers a wide range of environmental issues including climate, renewable energy, water, and biodiversity. He is a member of many committees and study groups for national and local governments in addition to private sector groups. He provides advice on domestic carbon trading systems and bilateral credit. He has contributed knowledge to the International Energy Agency, IPCC, UNEP and other UN institutions, as well as APEC and GLOBE International. He has written numerous articles, as well.